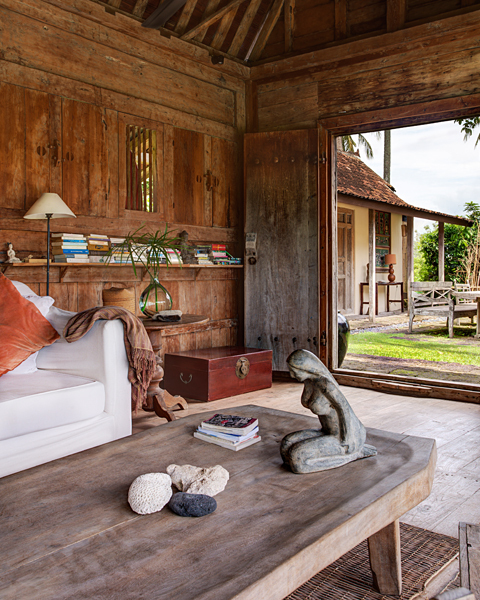 At the end of a meandering path, resting within the embrace of the forest and rice paddies, is a welcoming and harmonious retreat, a home away. 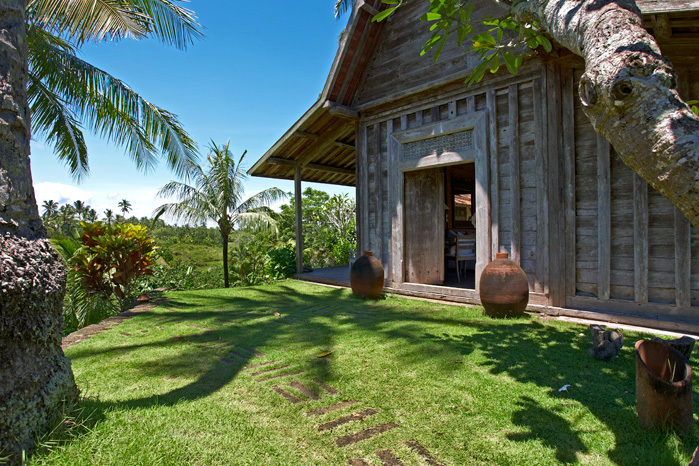 Greeted by the smiles of the staff awaiting to tend to your every need during the stay, you will gently be lead to rest in the cozy living room, an original antique javanese house, where refreshments will be served. The large sofa, eclectic furnishing and numerous literature, convey a wonderful aura, and from there one may savour the view of hilly grounds and the infinity pool perfectly set a little distance away from the house. As will soon be discovered, this is also the place to gather for sundown and indulge in the magnificent signature Bali sunsets. 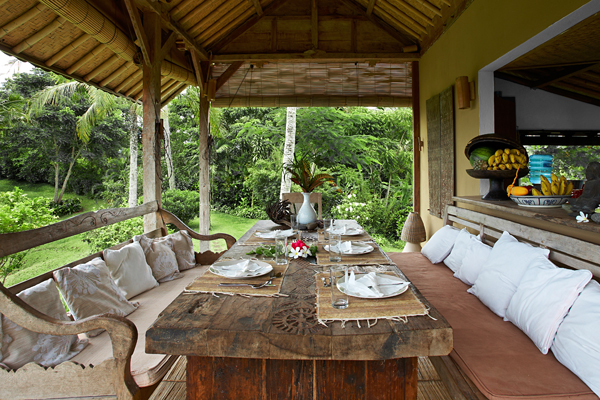 The kitchen and dining porch lie to the right of the living room, offering the same marvellous view. On the other side of the living room a tiled courtyard houses two large tables perfect for vibrant gatherings and candlelit dinners alike. From the courtyard, stairs lead at both ends to the four bedrooms contained within the main dwellings, all with pleasant views to the surrounding valleys. 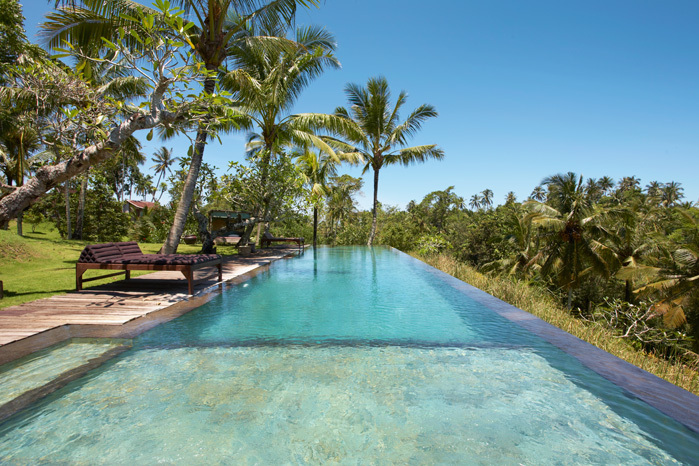 From there a few seconds stroll leads to the pool and its inviting loungers. 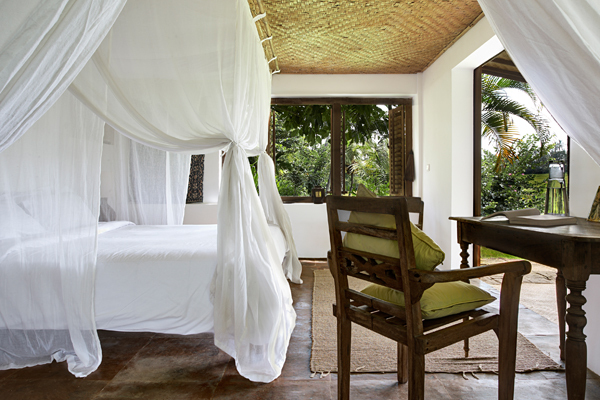 The decor of the five bedrooms has been kept simple to conjure a sense of peace and tranquility. 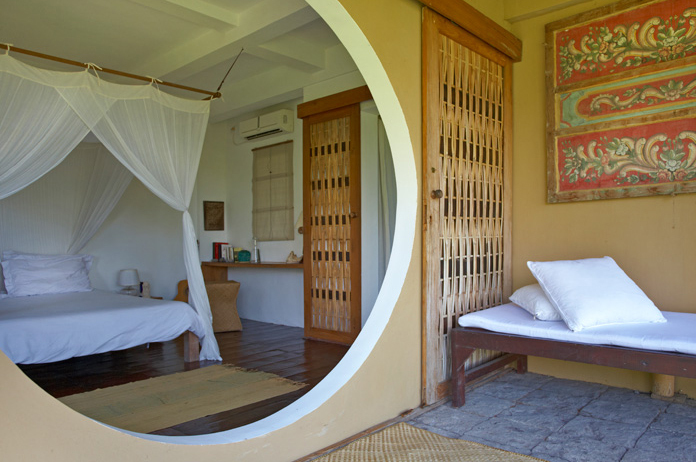 Two of the bedrooms face look out on to the rice fields and the morning sunrise. - The upstairs has a large double bed and adjacent writing nook.The bedroom and bathroom connect through a large walk-in closet. Both open onto a lovely covered balcony where you can enjoy the surrounding nature. - Downstairs the second bedroom, with its ensuite bathroom, opens out on to a lovely terrace and garden. Facing thevalley on the other side of the house are the other two bedrooms. - First the “children’s” bedroom, upstairs, is fitted with a large double bed and a smaller one to its side. To one end of the room lies a little reading nook that can yet be accommodated for more sleeping, providing the perfect space for a small family as well a group of independent children.Toys and books fill the large shelves and there is plenty of space for the children to play. - Down the stairs is the fourth bedroom. Its “O” shaped door leads from a private terrace, with a beautiful view of the valley and glistening pool in the distance, to the serene intimacy of a singular “zen like” room with large double bed and an en suite shower room. 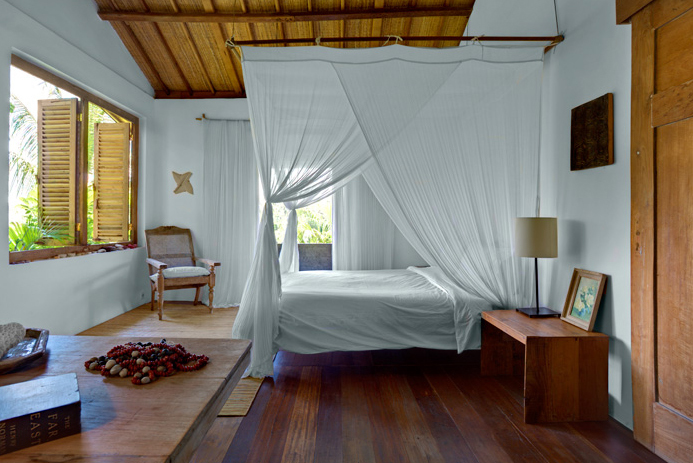 - Last but not least a fifth bedroom may be found away from the main house, standing private within the edge of the grounds near the forest below the pool. 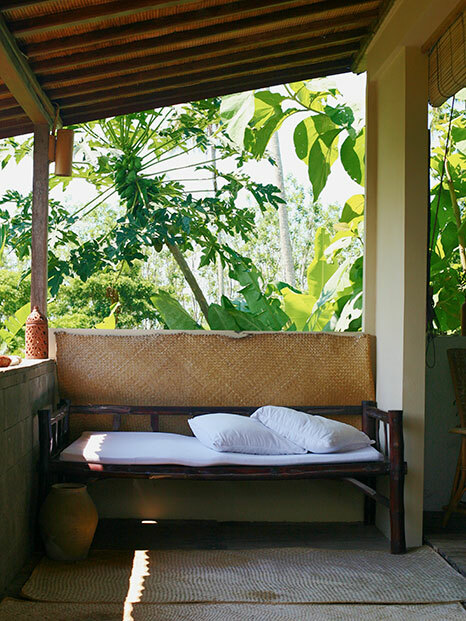 This lovely original wooden structure, with typical alang alang roofing, is a quaint independent guest room, with a private terrace resting under the protective shadow of a majestic eucalyptus. It is fitted with a large double bed, charmingly netted in the centre of the room, and may host additional beds when extra sleeping is required to accommodate a group of adolescents or a family with small children. 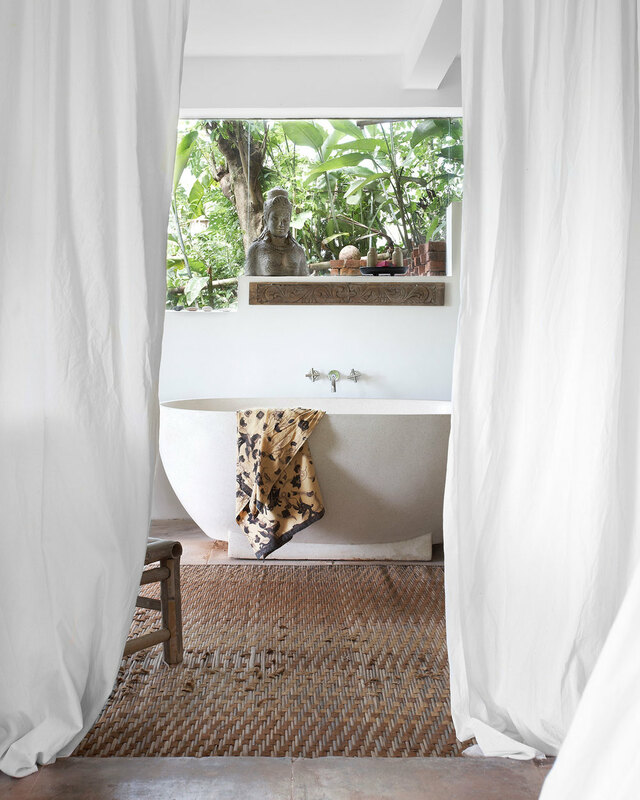 The attached bathroom is testimony to the simplistic style of cabin living. 2 hectares property, Pool (20 meters long), billiard, air conditioning and safe deposit in every room, tv, dvd, stereo with Ipod station, internet. Airport transfer, car and gas for the stay, motorcycles, bikes, domestic staff, manager, driver, and gardeners, 24h security, full time cook, all meals indonesian & european menus (daily breakfast, lunch, afternoon tea and dinner), massage (1st massage complimentary), childcare and baby sitting, organisation and advise for activities/excursions. Cycle and motorbike tour, walking tour, excursions to surrounding area, waterfalls and intriguing sightseeing, beach picnics, surfing, Yoga…as well as watching ceremonies in the nearby villages or participating in typical activities such as rice harvesting when in season. Special occasion dinners. 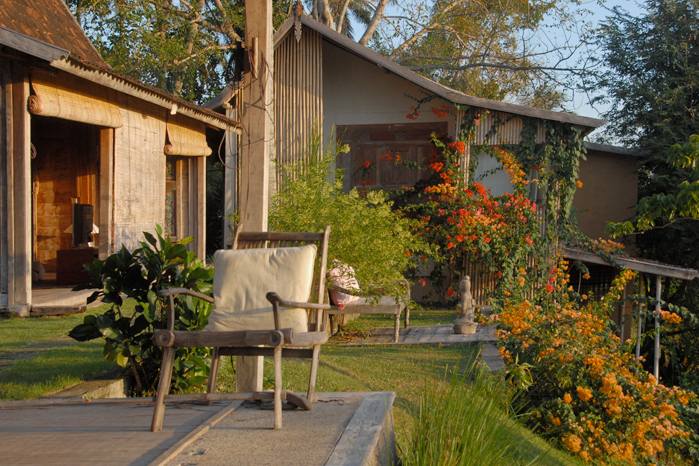 Shanti lodge is also a magical place for special events such as weddings, family anniversaries, honeymoons and more. Please contact us for more information. 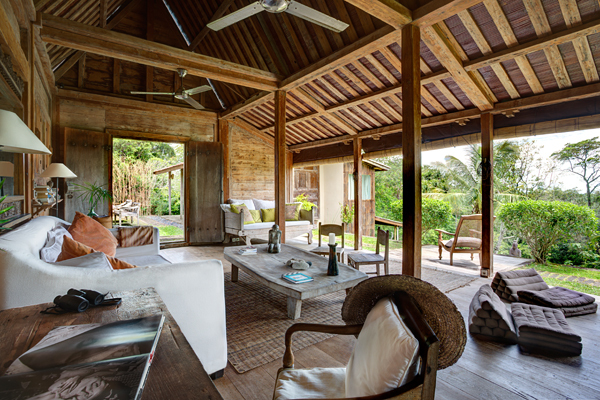 West of Bali, one hour away from the clamour of the city and crowded resort town, nestled between a typical balinese country village and hills of forest, Shanti Lodge reside peaceful and ever so welcoming. 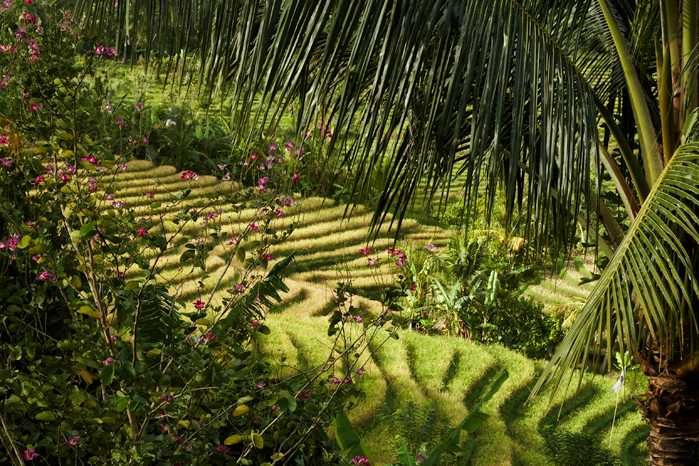 The estate is majestic and ever so private amongst undulating rice paddies and forest grounds. 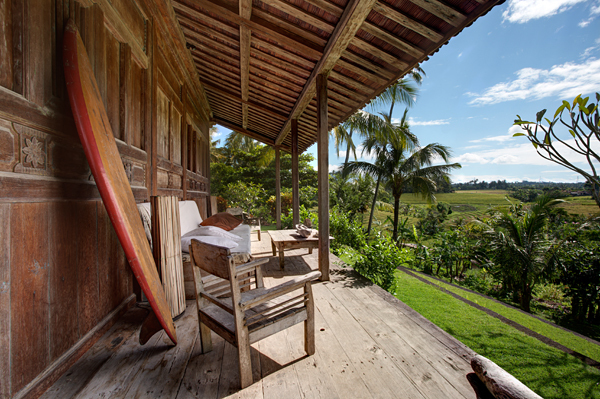 It is in addition but a mere few minutes away from the happening surfing beach of Soka and the infinity of the pristine black sand beach of Mejan, Java volcanoes afar, where the most magical beach walk and sunsets on the island is to be lived. Nos compliments a Yves et Isabelle pour la decoration interieure et exterieur. Un immense merci pour ce sejour inoubliable au milieu des rizieres et des plages volcaniques. Un grand merci a Koko pour tous ses petits plats delicieux, pour ses chasses aux grenouilles, crapauds et autres betes volantes qui ont fascine nos enfants! We have all had a wonderfully tranquil and relaxing week. We do hope to return. All the team made us really welcome, fabulous food and everything to make our stay a joy. 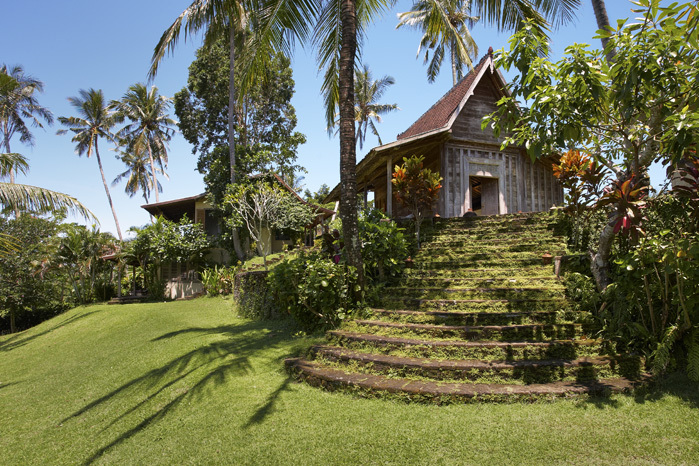 Today it’s Nyepi and a new year is starting for you. 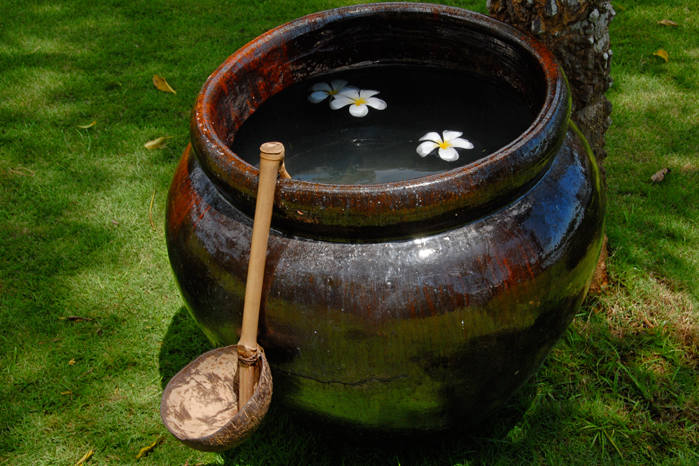 This is a fantastic occasion to wish the best to you and to the well named “Shanti Lodge”. Long life, health and good spirit. Thousand “terima kasih” for showing us an excellent angle of life and for everything you gave us, showed us and taught us. 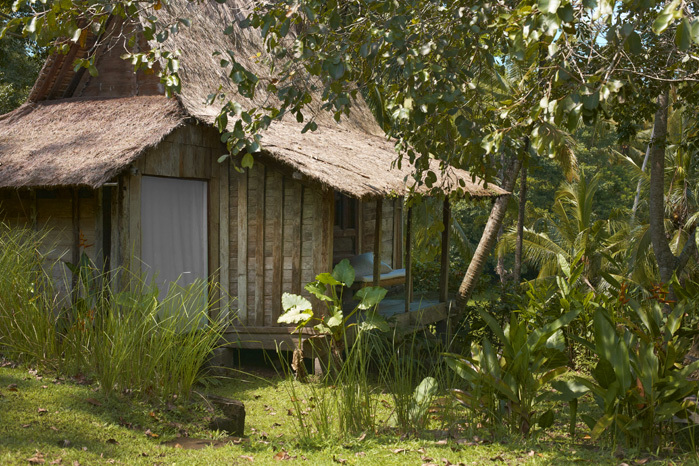 This is, indeed, a peaceful and romantic place to stay. 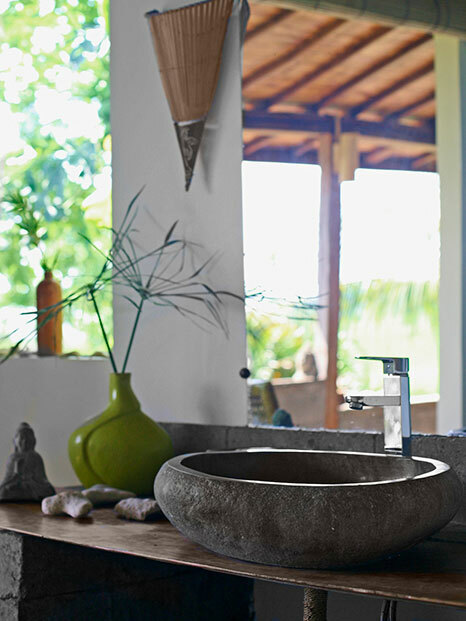 Relaxetion starts from the moment you arrive at the lodge which is nicely located in the countryside. 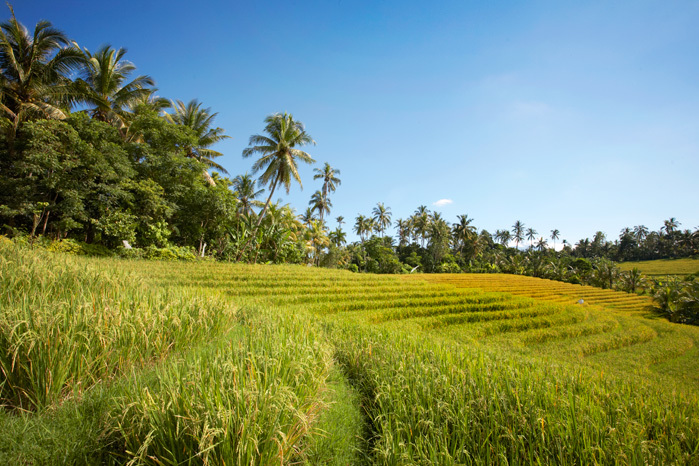 Beautiful rice fields, banana trees, palm trees, mountains, very friendly people do ensure that you always will remember this place. Last but not least, a wonderful team who ensures that you are being taking care of. Please fill the form below for any enquiries .